Nestled on 275 wooded acres along the shores of beautiful Delavan Lake, Lake Lawn Resort proudly stands as one of Wisconsin�s most popular destinations for both leisure and business travelers. Founded in 1879, we take great pride in providing our guest with comfortable accommodations, traditional Wisconsin hospitality and a virtually endless array of fun and exciting activities. From cozy, romantic getaways and full-fledged family outings to memory-making meetings and special events, Lake Lawn Resort offers something special for just about everyone. Making Lake Lawn Resort an even bigger temptation is its proximity to Chicago, Milwaukee, and other metropolitan cities, only twelve miles west of Lake Geneva. It is a big resort that has all the charm, comfort and attentive service of a small inn. The property has two hundred eighty-four spacious rooms, lofts and suites that let you relax in peace and privacy. It is truly the resort for all seasons and for every imaginable reason. Experience our view at The Landmark Resort in beautiful Door County. Located on a wooded bluff overlooking the sparkling waters of Green Bay The Landmark Resort is open year round and surrounded by all the natural beauty and vacation activities Door County has to offer. Our spacious one two and three bedroom condominium suites are tastefully decorated and feature a full kitchen living room private deck and a nonsmoking environment. While staying at The Landmark Resort, you can enjoy eleven area golf courses, five breathtaking state parks, several nearby beaches, specialty stores, antique shops, wineries, and miles of secluded bike and hiking trails. Without leaving the grounds you can enjoy 24 hour indoor pool, three outdoor pools, whirlpools and steam rooms, a restaurant and lounge and more. With quiet charm and simple hospitality, the Landmark Resort is the perfect setting for a getaway weekend or wedding retreat. 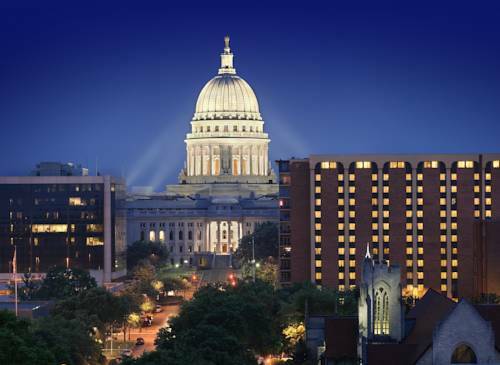 The Madison Concourse Hotel and Governors Club is located in the heart of downtown Madison. 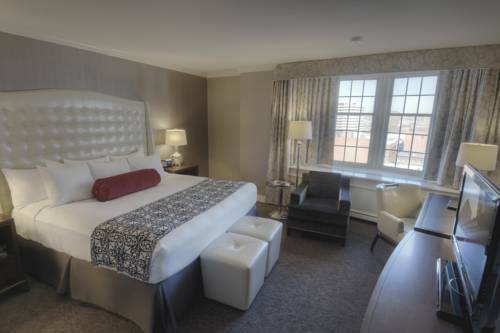 The hotel offers concourse premier rooms and state-of-the-art fitness center. All rooms include premium Dayton Street Comfort Collection bedding, compact refrigerators 37 inch flatscreen TVs and complimentary wireless internet. The Pfister offers luxurious hospitality in the heart of downtown Milwaukee, within walking distance to Lake Michigan, the theatre district, Art Museum, and fine dining and shopping. Escape to paradise in Wisconsin Dells. The Caribbean Club will surround you with lush gardens palms cascading waterfalls and romantic sunsets. 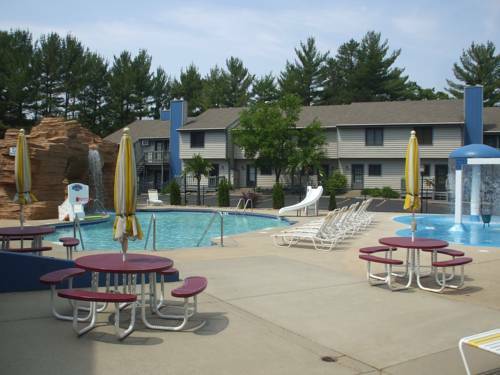 At the Caribbean Club Resort you will be convinced you are far away from all earthly concerns but are only minutes away from everything the Wisconsin Dells has to offer major attractions casino golf public indoor and outdoor water parks and top notch restaurants.